Update: Windows 10 build 17686 is now rolling out for Fast Ring Insider members. The latest insider build comes with new features and changes. Also, Windows 10 build 17686 ISO download links will be available latest on our website. Update 2 Windows 10 Build 17686 ISO is now available for download. We have introduced a new Region page that allows overrides to default regional format settings such as Calendar, First day of the week, Dates, Times, and Currency. Please go to Settings App – Time & Language – Region and give it a try. Local Experience Packs are Microsoft Store apps that deliver Windows display language quality improvements. You can now access them easily via the Settings App. Please go to Settings App – Time & Language – Language. Once here click on Add a Windows display language with Local Experience Packs link to download a Local Experience Pack from the Microsoft Store and start enjoying Windows in your preferred language. We wanted to let you know that if access to the microphone has been disabled in your privacy settings, we’ll now pop a notification the first time an attempt to use the microphone is blocked so you can review the settings if desired. This build no longer requires a physical monitor to be connected while running Mixed Reality in cases such as backpack PCs. Setting up WMR for the first time in Mixed Reality Portal and unlocking the PC on the sign in screen still, require a monitor to be connected initially. However, you can configure auto login to prevent needing to sign in for subsequent usage here. Using Windows Mixed Reality while standing requires setting up a room boundary. Apps running in Windows Mixed Reality can now make use of the Camera Capture UI API to capture images of the mixed reality world using the system capture experience. Try running Mail in the Cliff House and inserting an image from your camera in a new message to share an image of the scenic view. We’ve also made some adjustments to the mixed reality video capture experience in this build to make it easier to stop videos from the Start menu. We fixed an issue resulting in frequent bugchecks on the previous build with CRITICAL_PROCESS_DIED error. Settings > Gaming > Game DVR has been renamed “Captures”. We fixed an issue where Paint and WordPad settings and recent files weren’t migrated during upgrades. While we still have some work to do, you’ll find that when you update to this build, File Explorer will look a lot more complete in dark theme. We fixed an issue resulting in the “Replace or skip files” dialog having some unexpected dark elements in recent flights. We fixed an issue where the Japanese IME’s big mode indicator would appear in the center of the screen when bringing up UAC even if the mode indicator had been disabled in Settings. We fixed an issue where the taskbar flyouts (network, volume, etc) didn’t have a shadow. We fixed an issue where clicking on the plus button in the Clock and Calendar flyout from the taskbar didn’t do anything in recent flights. We fixed an issue resulting in Command Prompt’s cursor appearing invisible in the last few flights. We fixed an issue resulting in a high number of reliability issues when switching to the Microsoft Pinyin IME in recent flights. We fixed an issue where the Emoji Panel might not dismiss if you clicked somewhere else on the screen. After update, Mixed Reality Portal will reinstall the Mixed Reality Software and environment settings will not be preserved. If you need your Mixed Reality home experience to persist, we recommend skipping this build until these issues are fixed. Fonts acquired from Microsoft Store may not work in some apps. There is a bug in this build (and in Build 17682) that will impact driver testing scenarios. When executing HLK Component/Device driver tests, you may experience a bug check that blocks test execution. We are aware of the issue and actively working on a fix. Original Story: Microsoft is now testing Windows 10 build 17686 internally. 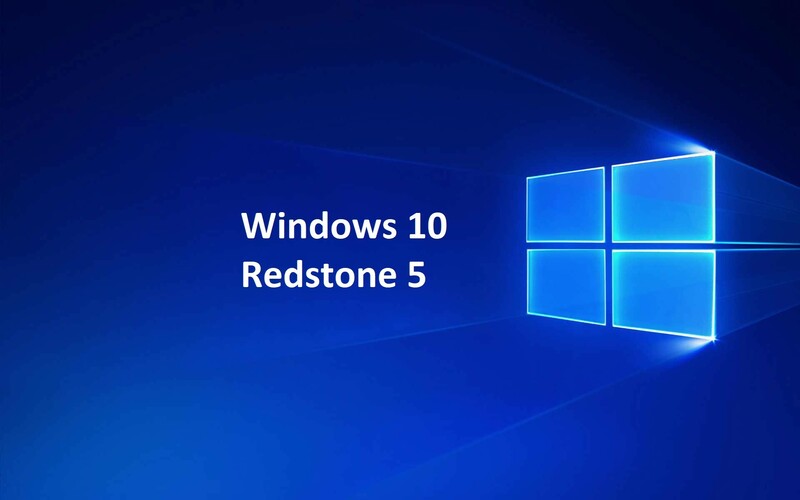 The new Redstone 5 build was compiled on June 1, 2018. Windows Insider team might roll out build 17686 this week to Fast Ring Insiders members.